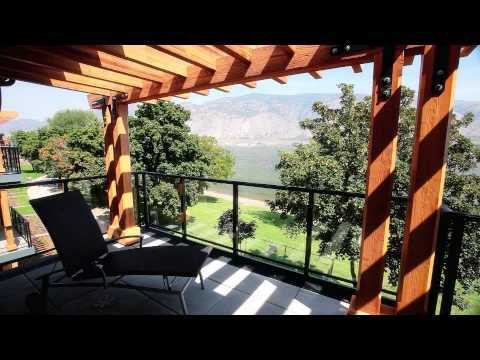 Watermark Beach Resort Hotel defines hotel luxury in Osoyoos and the South Okanagan. Only a few hours drive from Vancouver or just a 40 minute drive through wine country from the Penticton Airport, Watermark Beach Resort Hotel is surrounded by an impressive variety of outdoor recreational activities; from South Okanagan golf, wine tasting, water sports, hiking, biking, boating, horseback riding, fishing, and swimming to skiing and other winter sports. The Watermark Beach Resort is ideal for couples golf trips to Osoyoos or for the larger golf groups that enjoy extra space and the Osoyoos condo type setup. Located in a protective lagoon, just a short 2 blocks north from Watermark Beach Resort, lies the Osoyoos Marina. This is a brand new facility opened in the spring of 2012. Watermark Beach Resort guests are able to moor their boats in the slips that are dedicated to Watermark Beach Resort guests. The Watermark Beach Resort full service day spa offers treatments designed to take you beyond pampering and beneath the surface to a place of connection and complete surrender. Each treatment is designed to restore balance and harmonize energies, which leads our guests on a journey through their mind, body and spirit. In our east meets west spa we utilize the best of both worlds. Bringing ancient eastern treatments and products based on a fundamental "Back to Nature" concept, which is reflected in the abundance of our organic vegan ingredients and the technology of the west for your convenience in booking and creating a greener eco-friendly world. Our treatments are designed to relax you from head to toe, whether your favorite spa experience is massage, facials, pedicures or other body treatments we have a wide range of esthetic and body work services to suit your relaxation needs. Their evening service includes a range of local wines, and dessert wines along with our feature sweets. Watermark Beach Resort Wine Bar seats 30 with light plates and a selection of gourmet charcuterie and house made desserts. During the wine season and summer months the breathtaking views from our 80 seat patio is the ideal spot to enjoy local harvest while overlooking Canada's warmest lake. The luxurious 123 suites in the main building of Watermark Beach Resort offer a combination of studios, one, two and three-bedroom penthouse suites. Spectacular views of Osoyoos Lake, the city or surrounding mountains unfold at every window of this luxury Osoyoos hotel. The luxurious 123 suites in the main building of Watermark Beach Resort offer a combination of studios, one, two and three-bedroom penthouse suites. Spectacular views of Osoyoos Lake, or the city and surrounding mountains unfold at every window of this luxury Osoyoos hotel.